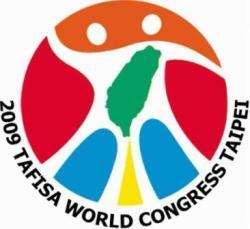 On September, 3 – 7 2009 in Taiwan capital Taipei City there took place the 21st Congress of The Association For International Sport for All (TAFISA) during which the General Assembly and Directors Board election was held. Lee Kang-Too was elected new TAFISA president who replaced his compatriot Rhee Sang-Hi. 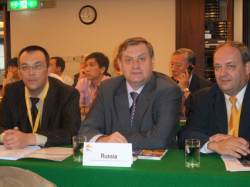 On behalf of the Multisport Association of Russia – a national TAFISA member – the Congress delegates were the first vice-president Alexander Kuznetsov and the secretary general Alexey Kylasov who also had the mandate of the International Amateur Sambo Federation (FIAS). The administration of an international national sport federation - sambo – delegated its mandate to the Multisport Association of Russia because there is complete understanding between the two organizations. Besides, one of the founders and MAR vice-president is the FIAS vice-president, president of the All-Russian and European Sambo Federations Sergey Eliseev. On the eve of the Congress the MAR informed the Ministry for Sport, Tourism and Youth Policy of Russian Federation about the coming event. In the reply of the Ministry for Sport the MAR actions were supported and later it was decided that the Chief of the International sport relation division Andrey Kurguzov would participate in the TAFISA Congress as an observer. The main event of the TAFISA Congress was the new president election – Lee Kang-Too from Republic of Korea. Not long before the Congress the MAR secretary general Alexey Kylasov had a working meeting with the candidate in the course of which prospects of TAFISA development were discussed. It was not the first meeting of the MAR representatives with Mr. Lee who used to be the head of EXCO of the 4th World Games TAFISA “Sport for All” in Busan last autumn. Due to his assistance in particular, Russian national sports were included in program of the Games: Sambo was included in the main program; Kettlebell lifting and Northern polyathlon – in the demonstrative program. Such support on Mr. Lee’s part can be explained by the fact that he had spent many years in Russia and he knows the potential of Russian sport well. 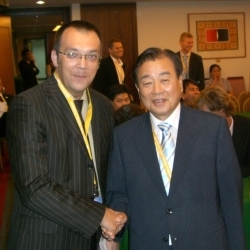 From 1992 to 1996 he worked in Moscow as a council minister of Republic of Korean Embassy for economic affairs. As a result of Alexey Kylasov and Lee Kang-Too’s meeting in Seoul it was decided to support Mr. Lee’s candidacy at the TAFISA president election. In the new TAFISA Board only two people preserved their positions: Wolfgang Baumann (Germany) and bursar Brian Dixon (Australia). All the vice-presidents were elected for the first time, and only Ewa Suska (Poland) was the previous Board member. Other vice-presidents have become more or less substitutes for their predecessors. The President of Pan-American Association “Sport for All” Rodolfo Valgoni (Argentina) substituted Oscar Azuero-Ruis (Colombia). Vice-head of the main sport administration of China and head of the All-China sport confederation Jiang Jong Feng replaced the honorary president of the National Olympic Committee of Taiwan Dr. Thomas Huang. And the director of the sport development department of the ministry for information, culture and sport of Tanzania Leonard Tadeo replaced Comfort Nwankwo from Niger. Ms. Nwankwo did not nominate her candidacy for the election but the congress delegates elected her, Thomas Huang and TAFISA former president Rhee Sang-Hi honorary members of the Board. The member of the IOC Sport for All Commission, TAFISA general secretary, Dr. Wolfgang Baumann invited his IOC colleague Dr. Chang Chu-Ho (South Korea) to be the Board special counselor. At the Congress of “The Association For International Sport for All” (TAFISA) which took place in Taiwan the IOC recommendation to unite TAFISA and the International Assembly on National sport organizations (IANOS) was fulfilled. TAFISA is an IOC recognized organization and that is why it followed IOC recommendation to join the IANOS which had also acquired IOC recognition. IANOS members became TAFIS members and the IANOS itself ceased to exist. Besides, at the TAFISA Congress in Taiwan a cooperation agreement was signed and a similar procedure of amalgamation under TAFISA brand with one more IOC recognized organization – the International Federation “Sport for All” (FISpT). Thus, we can state that TAFISA is becoming IOC major partner in the international “Sport for All” movement.